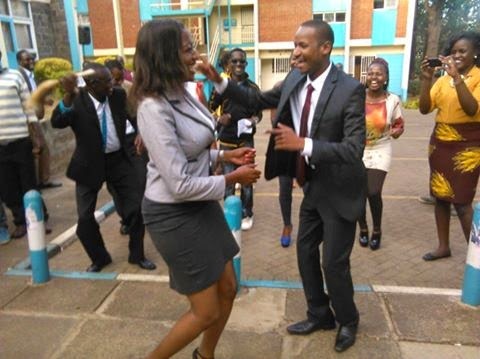 SONU Presidential Candidate and His Deputy get down as they launch campaign. 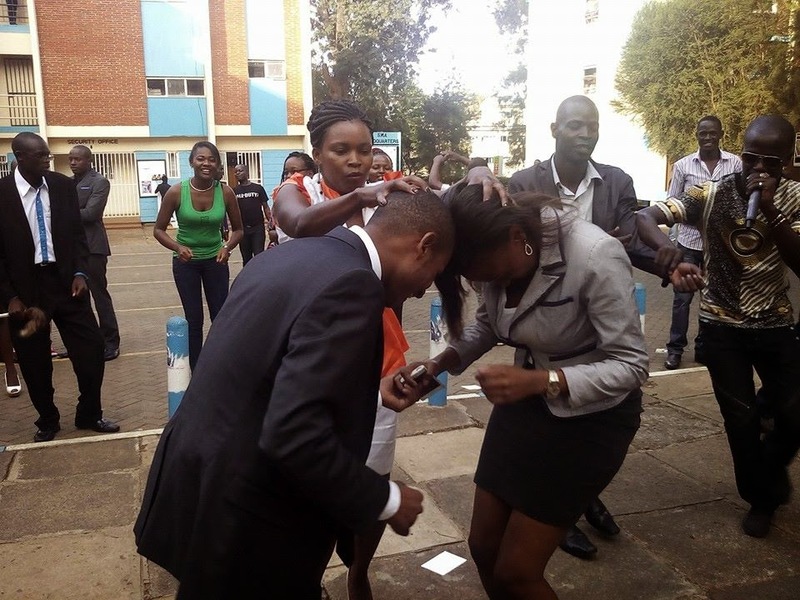 SONU president Babu Owino who is seeking another term in the UON politics, was in a celebratory mood after the launch of his campaign for the top seat at the University of Nairobi. 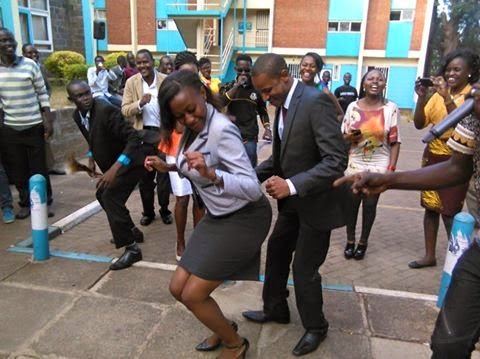 The launch that was reportedly said to have set aside over Ksh. 15,000,000 to cater for the campaign, was attended by hundreds of students alongside his deputy Gabby Acheru and party members. 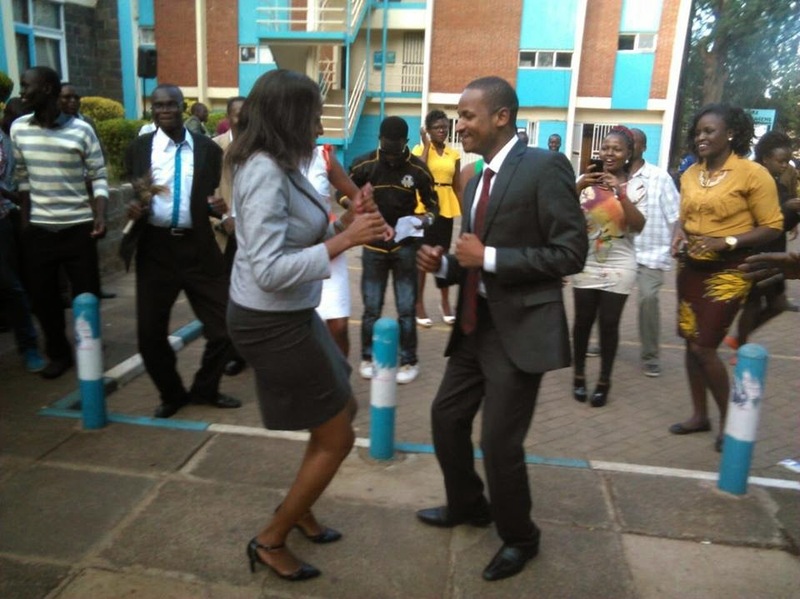 Following the successful launch, Babu and Gabby decided to have a jig to mark the important step they as a team have made into the SONU chairmanship. 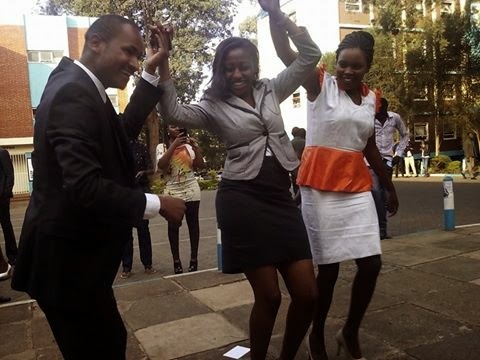 Here are some photos of the two dancing together.